Dimanche 28 avril 2019, 29ème fête de printemps de La Tour. Le Petit Colporteur n° 26 sera devant la mairie de La Tour. Venez nombreux ! The Association Racines en Faucigny (Roots in Faucigny) is a historical society of the communes of Contamine-sur-Arve, Faucigny, Fillinges, Marcellaz, Mégevette, Onnion, La Tour, Saint-Jean de Tholome, Saint-Jeoire, Viuz-en-Sallaz. 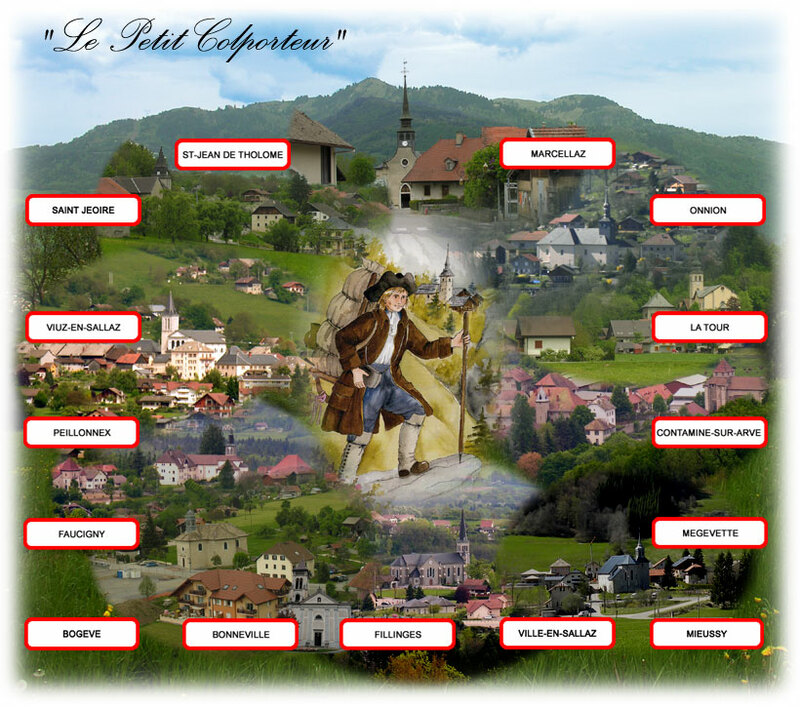 It publishes an annual review called « Le Petit Colporteur » (The Small Town-crier) which contains articles on local history since ancient times, daily life, biographies of personalities, photographs of troops and school classes, country life as it was, archives, religious matters (congregations, local saints, biographies of priests, visits from dignitaries, monasteries, churches, stations of the Cross, etc),old medicinal remedies, recipes from the past, local life, previous professions and occupations, genealogy of local families, stories of military life and wars, the history of local monuments (castles, bastions, bridges, etc), stories and anecdotes of extraordinary events and lives. Each edition is a voyage through the life and times of our ancestors. Annick Terra Vecchia, a well known water-colour artist, creates each year three paintings that illustrate parts of our local heritage that are mentioned in the articles in this annual review. ne sont pas sous le contrôle de l'association "Racines en Faucigny"et celle-ci n'assume aucune responsabilité quant aux informations publiées sur ces sites.